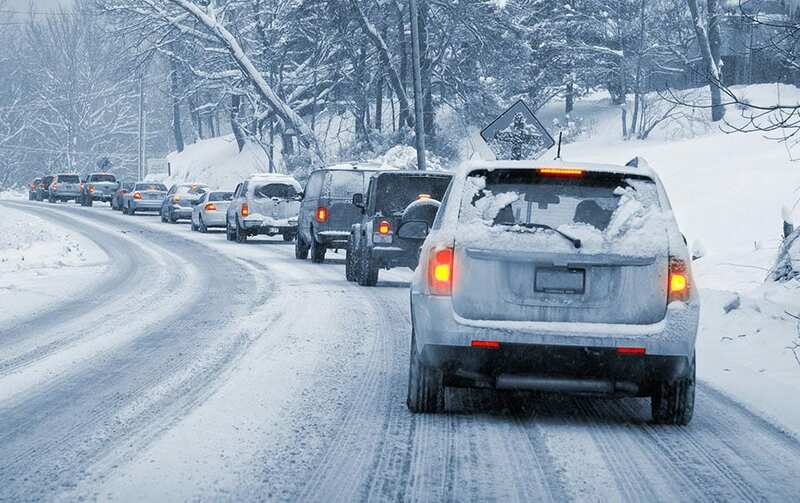 With the holidays upon us, here are six quick tips to be being a safer driver this winter. 1. Put your phone down and place hands on the wheel at 9 and 3 for the most control of your vehicle. As learned from driving instructors at Mid-Ohio School hosted by Maria’s Message Safe Driving Day, it’s impossible to overcorrect when your hands are in the proper position. 2. Drive slowly, do not tailgate, even when roads look clear, black ice has the potential to loom when you least suspect it. Being uncomfortable is no excuse. Plus it’s way more uncomfortable being dead. If you won’t wear it for your own safety, wear it for the safety of others riding with you. But seriously, your loved ones don’t want to hear you weren’t wearing your seatbelt because it was uncomfortable. Protect yourself and protect others. This is what an unrestrained body looks like in a crash. 4. If you hit ice, take your feet off the brake and gas; steer the car to an open space. Allow the car to stop/slow on its own before using the gas. In a recent class I took, the instructors spoke about an open field and one tree, and the spinning vehicle inevitably will hit the tree, the driver is so focused on the tree that the car and energy propel towards the object instead of away from it. In times of panic, focus on wide open spaces away from others, and allow the car to come to a stop. For those unexpected circumstances, you can pick up one various store or make your own with extra items you already have. Runners, next time you’re in a race hold on to those shiny silver thermal blankets. Toss it in the emergency kit; they take up virtually no room and will allow warmth in case of emergency. Have a safe and happy holiday season from all of us at The Risk Institute!